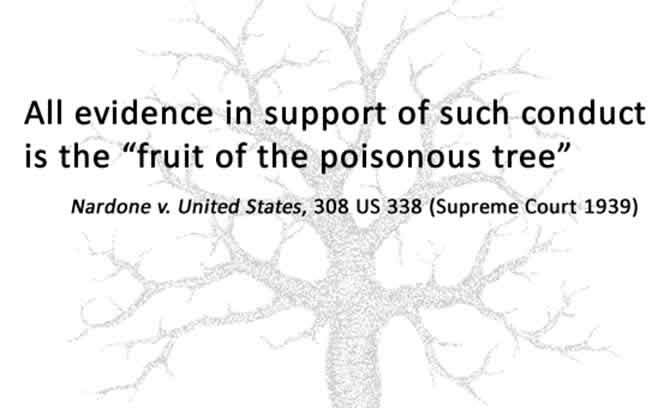 Congressional disclosures prove the Mueller probe is "the fruit of the poisonous tree" Nardone v. U.S. Fig. 1—Judge Amy Berman Jackson, DC District Court, Obama appointed (2011) is Special Counsel Robert S. Mueller's III go-to judge for his witch hunt to protect Hillary Clinton, Clinton Foundation and Clinton Global Initiative. Robert S. Mueller, III. (Jun. 07, 2012). 2012 Financial Disclosure (incl. 2013 also). Senate Judiciary Committee. Mueller has seven (7) substantial Vanguard holdings. Vanguard is another Clinton Foundation donor. Vanguard even paid $400,000 to Bill Clinton for speeches on Oct. 05 & 16, 2012. These Vanguard holdings conflict out Mueller from being involved in any proceedings regarding the Clintons. Fig. 2—Gabriel, McKibben. (Feb. 08, 2019). We've nailed Hillary and Mueller in the act!! UNBELIEVEABLE. 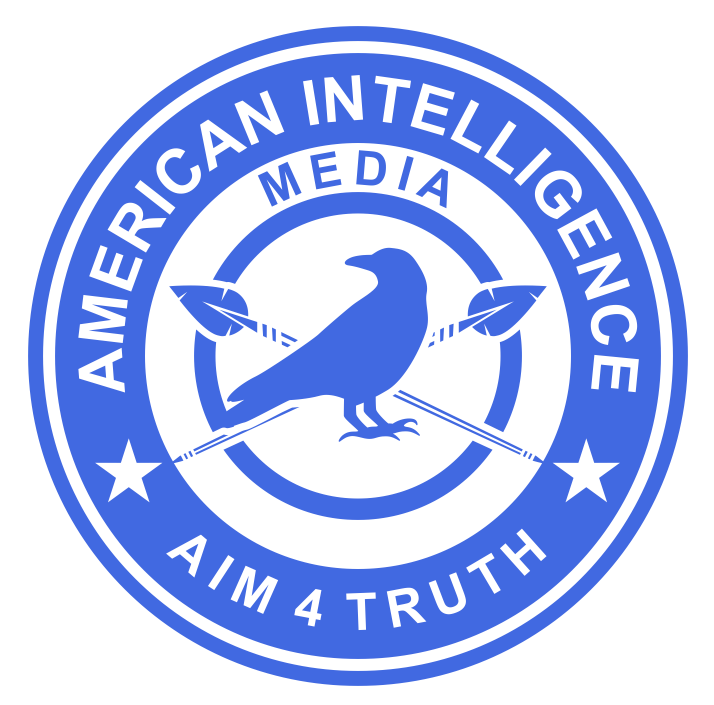 American Intelligence Media, Americas for Innovation. https://youtu.be/BUG3H5dtVQA | (Raw *.mp4 video file). Fig. 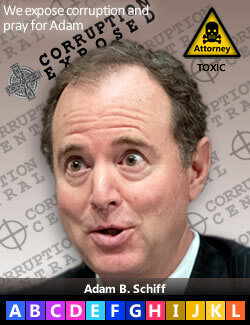 4—Congressman Adam Schiff has failed to disclose his GAZPROM conflict from his up to $100,000 Apple financial holding. Fig. 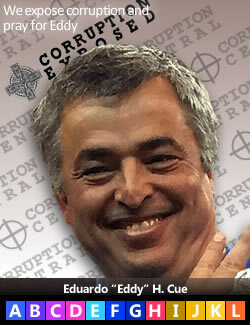 3—Eduardo "Eddy" H. Cue, undisclosed director in APPLE EUROPE LIMITED where Russian GAZPROM is a shareholder via Mexico. ABOGADO NOMINEES LIMITED, Co. No. 01688036 ("ABOGADO" is the Spanish word for "ATTORNEY.) UK nominee accounts (currently representing 917 insiders, including many household names in the globalist pantheon; here's the Companies House original | Excel spreadsheet) appear to be an investment vehicle of choice for British peers, Privy Counsellors and their globalist friends so that they do not have to disclose their investments to the public. In the case APPLE EUROPE LIMITED investments however, the ABOGADO shareholders disclose their identities without disclosing their investment amounts. Like Russian nested dolls, APPLE/ABOGADO has at least four nominee accounts inside them, and no doubt, within them will be other nested nominees: CORE NOMINEES LIMITED ( 02424514), FULLER NOMINEES LIMITED (04264633) PDF,* I.W.S. NOMINEE COMPANY LIMITED (00760488) PDF, JUNIPER NETWORKS (NOMINEES) LIMITED (04553031) PDF (including Juniper's subsidiaries in Belgium, Egypt, Greece, India, Tunisia, Brazil, Turkey, Russia and Mexico). Evidently, the British since founding the East India Company and The City of London UK have perfected the art of hiding insider relationships—all protected by the King or Queen and the Privy Council. Juniper Networks, the largest corporate networking company in the world, admitted on about Dec. 22, 2015 that they had voluntarily embedded the Dual_EC-DRBG backdoor encryption key for rogue NSA/C.I.A. intelligence, then pretended to remove it. By our quick count, at least 35 donors to the Clintons and Clinton Foundation are APPLE EUROPE LIMITED (UK) / ABOGADO shareholders. They include Abbott, Abbvie , Agilent, Airbnb, Atlantic Monthly, Broadcom, CBG Interactive, Conversys, Davita, Dow, Ericcson, Gazprom, Georgia-Pacific, Getty Images, GM, Harvard, Huawei, Intelsat, Intuit, Juniper Networks, L-3, Marvel, Netflix, Nike, Oracle, Polycom, PR Newswire, Quartz News, Salesforce, Sony, Starbucks, Symantec, Tibco, Tim Cook and Uzabase (JPMorgan). See Clinton donor lists below. 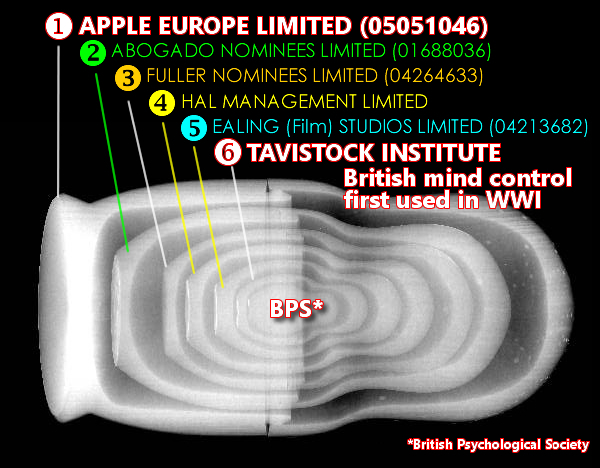 * For example, FULLER NOMINEES LIMITED director HAL MANAGEMENT LIMITED PDF, XLSX (see also Companies Check) is a massive media holding cover (including THE KEVIN SPACEY FOUNDATION ) that masks holdings in the extremely well-known EALING [Film] STUDIOS LIMITED (04213682). These companies are very evidently part of the British Tavistock propaganda and mind control network of media companies. This certainly explains why Apple VP Eddy Cue hides his directorship in Apple Europe! It appears that Netflix and actor Kevin Spacey—both in in Adam Schiff's downline—were using personal knowledge in the Netflix series House of Cards. New (2/17): You Are Wrong! Six Degrees! The pushback to the facts in this Schiff sidebar from trolling lawyers (fake grassroots) is that the discovery of these Schiff nested conflicts of interest is ridiculous since, using their dubious argument, everyone would have conflicts of interest due to "six degrees of separation." To the contrary, in Six Degrees one might find a snowflake six connections away, unlike the globalist avalanche found with Cue and Schiff. Six Degrees is not an argument, it is an excuse. Conflicts are fact specific and cannot be swept away by such generalizations that are clearly intended to fool the unsuspecting. The conflict of interest laws require disclosure to avoid even the appearance of impropriety. Besides, Six Degrees is not a scientific argument, it is a literary theory. In the hands of spies it has become a brainwashing curtain to hide nefarious activity behind. It originated with Hungarian author Frigyes Karinthy in 1929. He was an admirer of globalist H.G. Wells who was himself a member of the British War Propaganda Bureau (Wellington House) and the Robber Baron clique in 1914. Karinthy himself married psychiatrist Aranka Böhm and supported a one-world language called Esperanto. Psychiatry, fiction, propaganda, media, banking: The devil's brew. Fig. 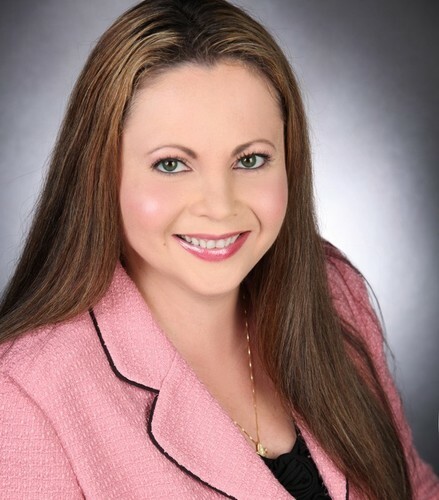 4—Amy Berman Jackson, judge assigned to the Robert Mueller prosecution of Roger Stone and other political targets of allies of Hillary Clinton and The Clinton Foundation. 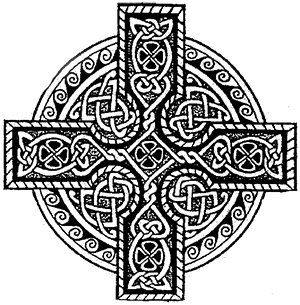 During the third week in Feb. 2019, Judge Jackson ludicrously claimed that the venerable Celtic wheel Cross in this image was a gun site, then used her perfidy to accuse Roger Stone of threatening her after he used this image in an Instragram post. Tellingly, the MSM reproductions all cropped out "Corruption Central" from their stories, showing only the Cross. 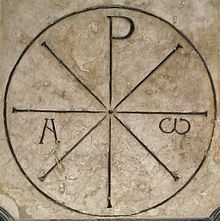 Deep State propagandists have even gone so far as to suggest that the Christian Cross was white supremacist motivated. Tell us the last time anyone in America ever even met a white supremacist outside those faked by Antifa at their false flag events. That is just juvenile. This background has been used for over four years to identify over 750 people believed to be Deep State corruptocrats, some of them deceased. 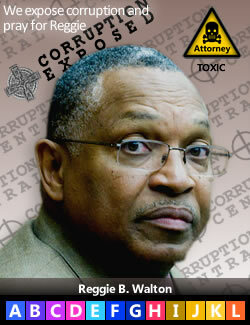 Endemic Corruption is being targeted here Judge Jackson, not you. We suggest you repent and stop fabricating evidence to falsely accuse an innocent man who is trying to protect himself from the now proven Mueller Witch Hunt. Your conduct violates the Code of Conduct for U.S. Judges. We pray for you. It seems you have forgotten that you work for We The People, not your Deep State handlers. (Feb. 04, 2019)—Theoretically, district courts randomly assign judges using a master calendar, prescreening, or some combination. With so many options and essentially no oversight from Chief Justice John Roberts, the process in high profile cases is fraught with corruption. 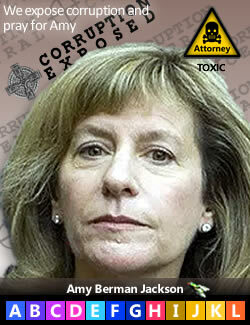 Judge Amy Berman Jackson was nominated by Barack Obama on Jun. 17, 2010. 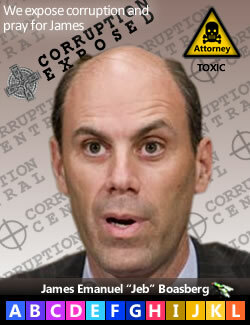 Nominated with Jackson was soon-to-be FISA Court judge James E. Boasberg. Click image to view PDF version. Fig. 5—Amy Berman Jackson. (May 06, 2013). 2012 Financial Disclosure. U.S. Courts. 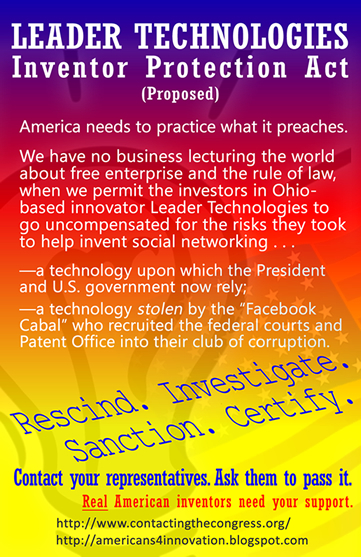 Graphic: Americans for Innovation, American Intelligence Media. Fig. 6—James E. Boasberg, FISA judge, nominated by Barack Obama on the same day (Jun. 17, 2010) as Amy Berman Jackson. Boasberg attended both Yale Law where he became a member of Skull & Bones and Cambridge University now known to be the one-world schoolhouse designed by Cecil Rhodes. 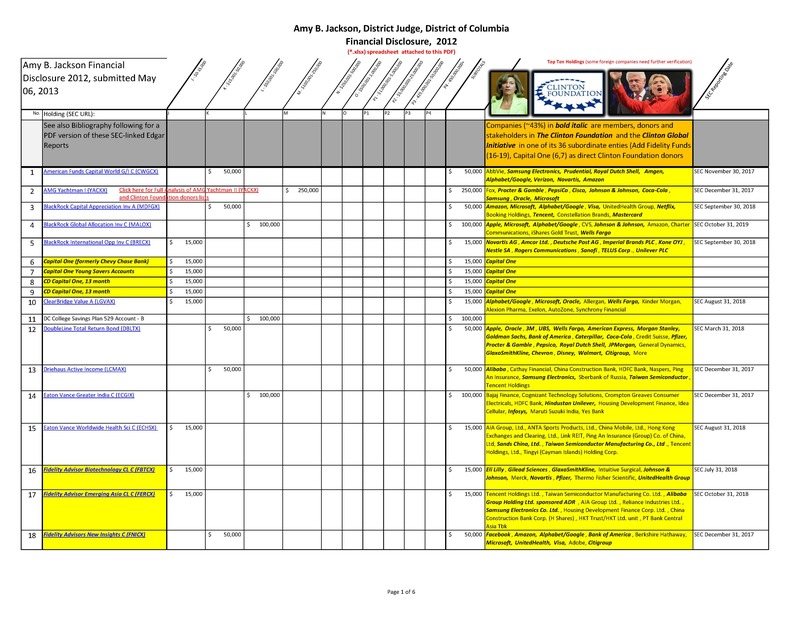 Judge Boasberg, holding up to $7 million in investments in 2012, is heavily invested in Clinton Foundation donors, as is Jackson shown below (incl. Berkshire Hathaway, Microsoft, State Street, T. Rowe Price, Vanguard, Cisco, Fidelity, Intel, Johnson & Johnson, Linear Technology, Medtronic, Procter & Gamble, Walgreens, Wells Fargo, Western Union). Fig. 7—Reggie B. Walton approved that the incoming attorney general Eric H. Holder, Jr. could unilaterally approve FISA surveillance on Americans without oversight by Chief Justice John G. Roberts, Jr. In short, FISA judge James E. Boasberg is a 1%-er. See previous post Eric Holder Exploits Secret FISA Laws. 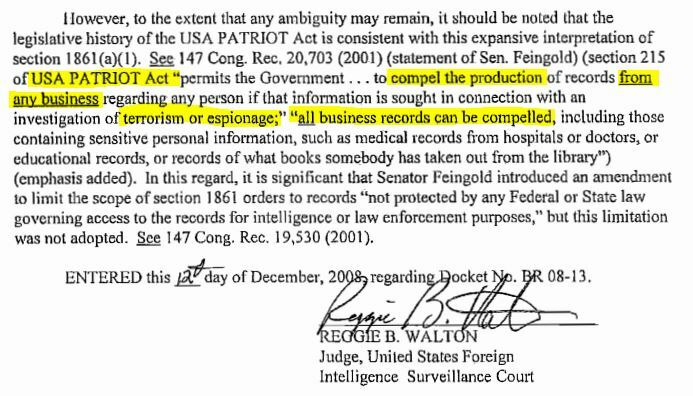 On Dec. 12, 2008, Judge Reggie Walton modified the FISA law to give incoming attorney general Eric H. Holder, Jr. essentially dictatorial powers over Constitutional protections to privacy and property. Fig. 8—AFI. (Jul. 02, 2014 #FISA-BULLET). Eric Holder Exploits Secret FISA Laws For Personal Gain. Americans for Innovation. Judge Boasberg never met an FBI request from Robert Mueller, Eric Holder and James Comey to spy on an American that he did not like. Boasberg hails from Yale’s Skull & Bones (along with the two George Bushes, John Kerry) and from Oxford University’s & Cecil Rhodes’ one-world schoolhouse for the takedown of the American Republic (along with Sir Geoffrey E. Pattie, Lord Mark Malloch-Brown, Sir Nicholas P. Clegg, Lord Richard B. Allan, the Privy Council). See previous post Eric Holder exploits secret FISA laws for personal gain. Judge Amy B. Jackson was just assigned to Roger Stone’s case on Jan. 24, 2019. Magically, Jackson was also (randomly?) assigned to the Mueller prosecutions of Paul Manafort, Rick Gates and Skadden Arps LLP lawyer Alex Rolf van der Zwaan. Fig. 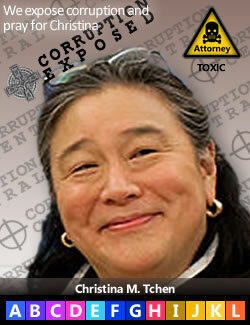 9—Christina M. Tchen, Skadden Arps LLP, was Hillary Clinton's chief of staff (2011-2017). Fig. 10—Leonard P. Stark, Rhodes Scholar like Bill Clinton. 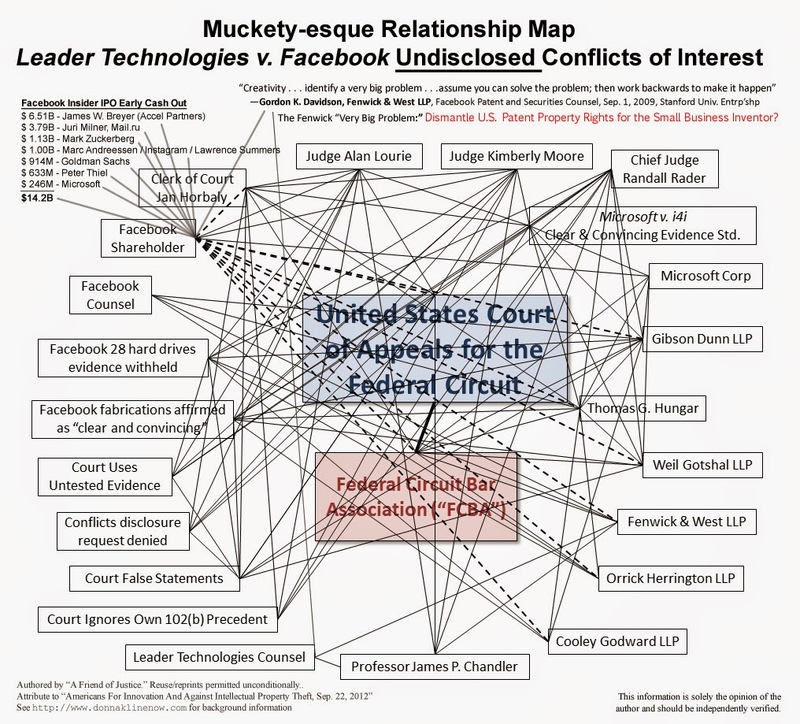 He also worked at Skadden Arps LLP, was assigned three weeks before trial to the Leader v. Facebook patent infringement trial, then confirmed as judge ten days after the trial where even though Leader proved on 11 of 11 claims that Facebook infringes its social networking invention. Stark ruled that Facebook could get off on fabricated evidence based solely on a single 1896 criminal case never before used in a civil trial where a jury ruled against a man without any evidence, only innuendo. Remarkably, Stark wrote "There is nothing impermissible about such an analysis." [Note: There certainly Judge Stark, especially when you have failed to use the well-accepted rules in Pfaff and Group One to test the evidence upon which you based your impermissible opinion.] Patent rules require hard evidence (Pfaff, Group One), except in this outlier where Stark allowed Pfaff and Group One to be ignored. Stark's investments were almost entirely Fidelity. 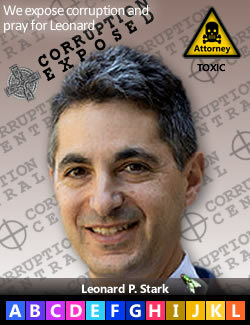 Speaking of Skadden Arps LLP, Hillary Clinton’s chief of staff, Christina M. Tchen (2011-2017), and Delaware district court judge Leonard P. Stark (Obama appointed in 2010, Leader v. Facebook 2010) were both partners at the woefully corrupt Skadden Arps LLP law firm. 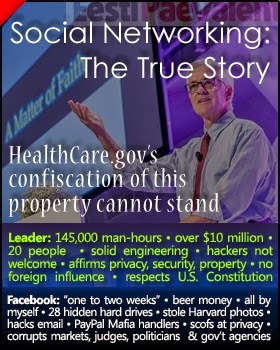 Leader files trillion dollar bond lien on the U.S. Government (for the theft of their social networking invention). 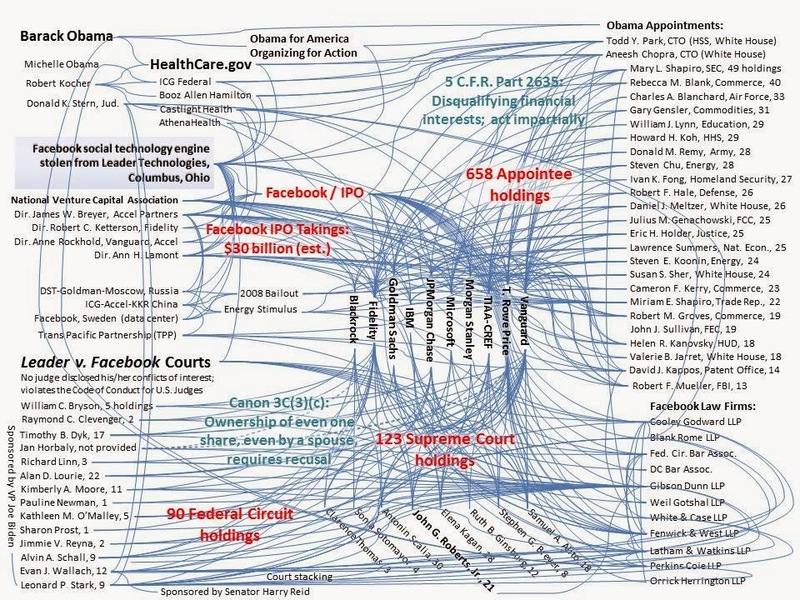 AFI and AIM researchers discovered a massive shift from 2009 to 2012 in the structure of Judge Amy Berman Jackson’s financial portfolio. See Alert. In 2009, Jackson disclosed 169 holdings of which approximately 85 were private company stocks and 84 were mutual funds. Ameriprise, Apple, AT&T, Bank of America, Berkshire Hathaway, Boeing, Bristol Meyer Squibb, Caterpillar, Chevron, Cisco, Citigroup, Coca-Cola, ConocoPhillips, Covidien, CSX, Cummins, Diamond Offshore Drilling, Disney, Dominion Resources, DuPont, EMC, Emerson Electric, Exelon, Exponent, Fairholme, Florida Power, GE, Google, Home Depot, HP, J&J, JPMorgan Chase, Merck, Microsoft, Motorola, Nokia, P&G, Pepsico, Pfizer, Philip Morris, Prudential, Royal Dutch Shell, Target, Time Warner, Tyco, UPS and Verizon. In 2012, however, a dramatic shift occurred. Jackson reported only 44 holdings—a 74% drop in number of holdings. Also notable was that the holdings were all institutional and mutual funds—no private company stocks. Did Jackson lose faith in her ‘Blue Chip’ investments? No. A reasonable person will ask why Jackson dumped all her Blue Chip stocks. Remarkably, at least 31 of her 2009 holdings in Blue Chip corporate stocks were in donors to The Clinton Foundation (The New York Times list). See also Vox list. See also Sep. 14, 2009 Clinton Global Initiative (CGI) Participants and Agenda; Sep. 16, 2010 Clinton Global Initiative Participant Commitment Highlights; Guccifer 2.0 List; Speech Fees donated by Companies to The Clinton Foundation. Also, google “NAME” AND “CLINTON FOUNDATION” to discover other relationships. New: Clinton Speaking Fees (2000-2015)—Eureka! Bill (Rhodes Scholar) & Hillary were the evident set up team for the Rhodes 200-year New World Order takeover! 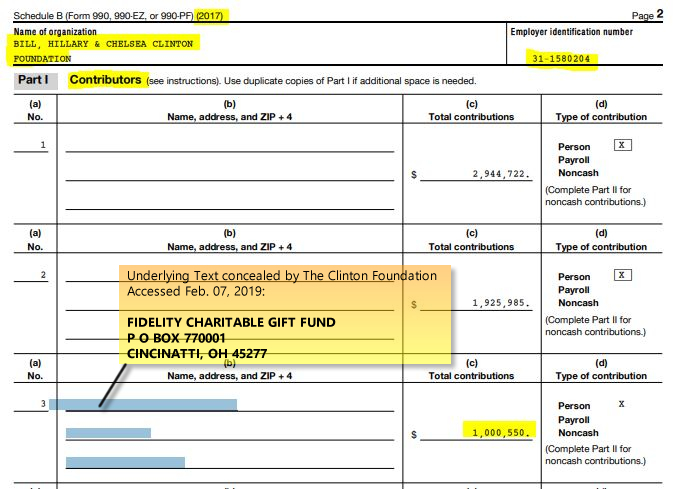 * Material Omissions to Note: All Schedules B, Schedule of Contributors (Form 990, 990-EZ, 990-PF), have had the names of the Contributors masked out completely, with the exception of Clinton Foundation, Schedule B, 2017 where the text was retrievable, albeit hiding not visible behind a transparent font that was discovered and rendered readable. All Schedules C, Political Campaign and Lobbying Activities (Form 990 or 990-EZ) have been removed from all returns. Fig. 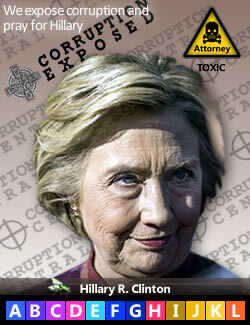 12—Hillary R. Clinton's Financial Disclosures (2000-2015), Clinton Foundation, Clinton Global Initiative (CGHI) and Clinton Global Initiative (CGI) IRS Form 990 and related items. 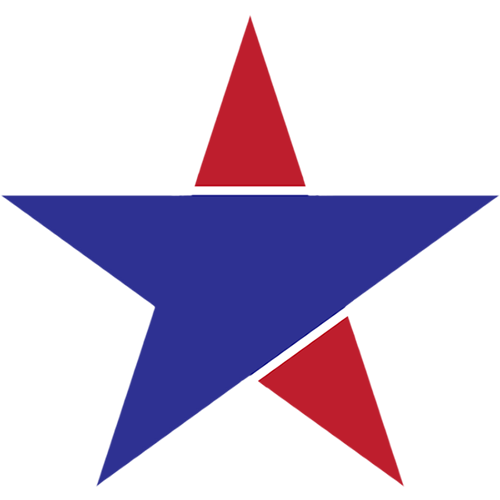 Public Data Sources: U.S. Office of Government Ethics (OGE); OpenSecrets.org. The companies in bold below are notoriously known donors to The Clinton Foundation by its more than 35 different names. In other words, these are companies with known Clinton Foundation relationships—that Jackson held in 2009—disappeared in her 2012 financial disclosure. QUESTION: Where did Jackson’s holdings in these Blue Chip private companies go by 2012? ANSWER: She simply buried them inside crony mutual funds who were, or became, heavily invested in her favorite companies. This gave her the continuing benefit of those profits while hiding their relationship to the Clinton Foundation. For example: Jackson disclosed a substantial holding in AMG Yachtman I (YACKX) of up to $250,000 in their Dec. 31, 2017 FORM N-CSR Annual Report to Shareholders (SEC Edgar HTML). PDF Version. While the AMG Yachtman I fund does not appear to have a direct relationship with The Clinton Foundation, its portfolio holdings, officers, bankers and trustees do . . . massively. Table 1: AMG Yachtman I (YACKX) Top Ten Holdings. In other words, Jackson’s 2009 private company stock holdings in Clinton Foundation donors comprise about 80% of all holdings in AMG Yachtman I fund in 2012 alone. And, AMG Yachtman I is just one (1) of Jackson’s 44 holdings reported in 2012. Indeed, despite any excuse like the “safe harbor” concept, Berman has an ethical duty in Canon 3 to disclose these conflicts. Table 2: AMG YACHTMAN principals with relationships to Clinton Foundation donors. 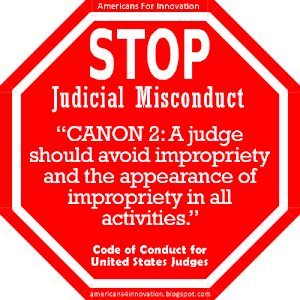 Canon 2 of the Code of Judicial Conduct requires judges to recuse if their involvement raises even the appearance of impropriety. 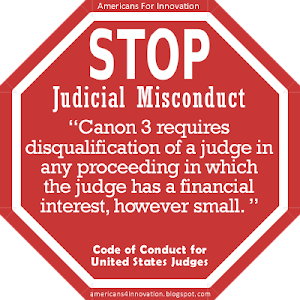 Canon 3 requires recusal when the judge holds “even one share” in stock of an interested party in a litigation. 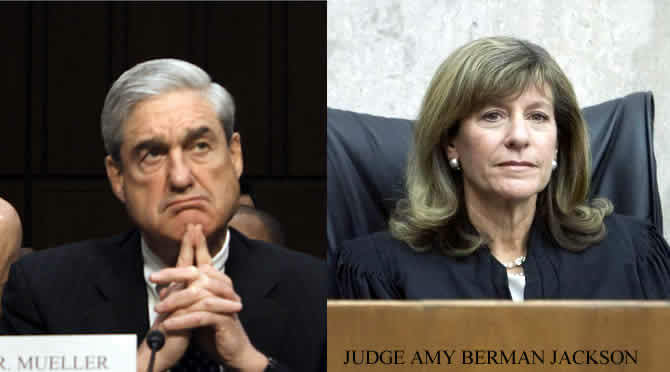 Judge Amy Berman Jackson has permitted her long-time former law partners from Trout Cacheris LLP, Robert Trout and Gloria B. Solomon, to represent parties in the Mueller matters. The appearance of impropriety and conspiracy with Mueller’s political agenda is evident. Judge Amy Berman Jackson holds direct financial interests in at least three institutions (and probably more if we kept digging) who are notoriously-known donors to The Clinton Foundation (four Fidelity funds, two Capital One and two Vanguard funds). This is blatant, in your face impropriety requiring recusal. Fig. 13—Clinton Foundation. (Nov. 07, 2018). FIDELITY CHARITABLE GIFT FUND (hidden, but retrievable), $1,000,550, PDF p. 57, Form 990 Return of Organization From Income Tax, certified by Andrew Kessel, CFO, Cohnreznick LLP, accessed from The Clinton Foundation Website Feb. 07, 2018. The Clinton Foundation. Besides the legion of Fidelity conflicts, Mueller has seven (7) substantial Vanguard holdings. Vanguard is another Clinton Foundation donor. Vanguard even paid $400,000 to Bill Clinton for speeches on Oct. 05 & 16, 2012. These Vanguard holdings conflict out Mueller from being involved in any proceedings regarding the Clintons. Judge Amy Berman Jackson concealed about 85 holdings in corporate stocks in 2009 by shifting them into 44 mutual funds that hold those stocks (and other Clinton Foundation interested parties) in 2012. While Jackson may have relied upon the dubious “safe harbor” “concept” (Judicial Conference scrambling of the financial disclosure rules in 2001) by disclosing only the fund name and not its underlying stock holdings, not even that concept applies here since three of her holdings are in Fidelity, Capital One and Vanguard that are notoriously known Clinton Foundation donors. Much worse is the fact that approximately 43% of the “top ten” largest corporate stock holdings in her 44 mutual funds are notoriously known donors to The Clinton Foundation and its 35 related entities. Fig. 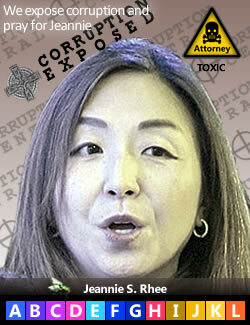 14—Jeannie S. Rhee is Mueller's prosecutor on about 20 of his indictments despite her lack of experience, only having ever worked at Mueller's WilmerHale LLP firm and the Department of Justice. Mueller’s go-to prosecutor in 36 cases is Jeannie S. Rhee. The majority of these cases are against Russians whose names appear suspiciously fabricated. Her biography shows that since Yale Law school she has only had jobs in and out of the Department of Justice and WilmerHale-Comey-Mueller. Judge Amy Berman Jackson cannot possibly avoid the requirement to recuse herself immediately from the Mueller cases due to her conflicts of interest both with Mueller and with Hillary Clinton and the Clinton Foundation. If she does not, the she obliterates even the semblance of judicial impartiality that is embodied in the Code of Conduct for Federal Judges—a Code she pledged an oath to uphold. Every American patriot should storm the gates of government and demand Judge Jackson’s recusal. Even if they don't, anything she does must be thrown out because her continuing presence means everything that occurs is "the fruit of the poisonous tree." Fig. 15—Gabriel, McKibben. (Feb. 01, 2019). No one goes to jail in the swamp because it is legal to like. American Intelligence Media, Americans for Innovation. https://youtu.be/VyiioZ9owh8 (Raw *.mp4 video file). Fig. 16—Nancy Morgan Hart. (Feb. 14, 2019). Here's How They Lie and Always Get Away w/ it. Headlines With A Voice. https://youtu.be/J2-96mcyHCs (Raw *.mp4 video file). Fig. 17—S. Hrg. 113-89. (Mar. 12, 2013). Testimony of NSA Director Eric R. Clapper, Current and Projected National Security Threats to the United States. Hearing before the Select Committee on Intelligence, United States Senate, 113th Congress, First Session. 82-721-PDF. GPO. https://youtu.be/v3d-re0dtKA | (Raw *.mp4 video file). AFI (Jun. 10, 2015). Congress sanctioned lying to courts and government in 1996. Americans For Innovation.